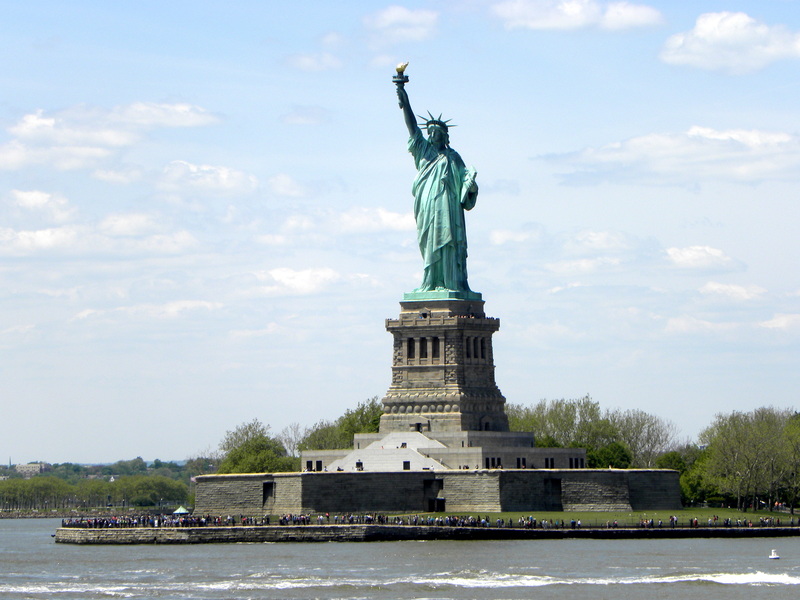 New York City is a travel mecca not only in the United States but in the world as well. The United States’ largest city at just under 8.5 million people is chock full of history, culture, food, and, of course, things to do. Those things, however, come at a price, and compared to most places around the world, the price is quite steep. Attractions, lodging, and food can all be costly items and can make New York City a tricky budget travel destination. While cost is something to keep in mind while planning a trip to New York City, it should be noted that the city is jam-packed with free things to do and places to see. 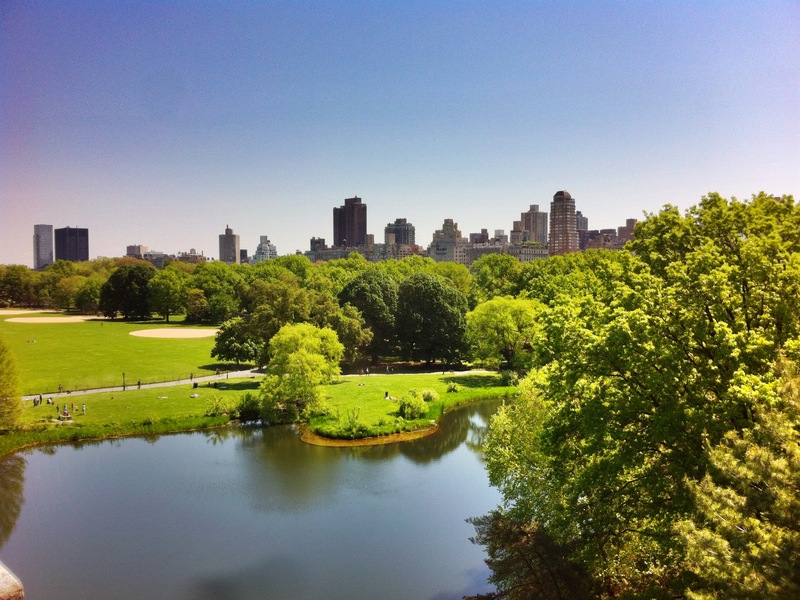 The 843 acre park located in central Manhattan is a wonderful oasis from the concrete jungle that surrounds it. You can escape the noise and clutter of the city and enjoy everything from running and softball to sun-bathing and people watching. While being located in the heart of United States’ busiest city, one can easily forget that they are right in the city and enjoy the wonders of nature. It’s no Yosemite or Yellowstone National Park, but given its juxtaposition with the surrounding skyscrapers, it may feel like a park of similar ilk. 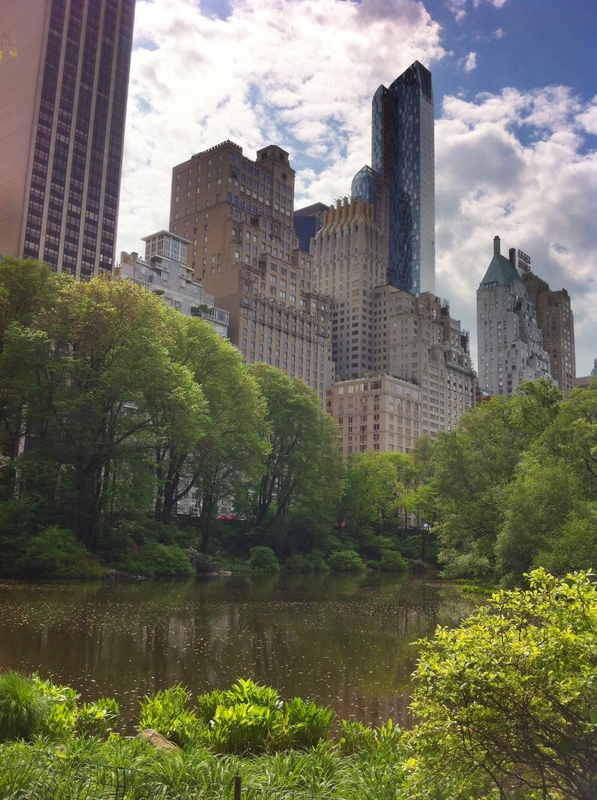 Central Park is free of traffic, unless you include the runners, bikers, and walkers. There’s a zoo, sports fields and courts, boating, art, playgrounds, and entertainment venues. On top of these, John Lennon’s Strawberry Fields memorial, a castle, and Cleopatra’s Needle – one of three in the world – is located in Central Park. As you work your way around the park, it changes. You’ll be going around a giant water reservoir that used to supply the city with water and suddenly you’ll be winding through the complex maze of trails in the Ramble hoping not to get lost like I did. Oops! I did escape the twisting trails of the Ramble to this remarkable view though, so I’d say it was worth it. Essentially, there is something for everyone to do there, and Central Park is equally as beautiful in the summer and winter. It’s quite a bit colder in the winter though so bundle up! The Main Branch of the New York Public Library is located right in Midtown Manhattan near many other attractions like the Empire State Building, Times Square, and Broadway. Being a public library, it is completely free to enter and other then getting your bag searched when you come in, there’s no line to speak of. To most visitor’s the main highlights the Rose Main Reading Room, and it’s truly a sight to see. Make sure to be quiet though, as it is a fully functioning library. All the art and architectural detail is truly amazing. Grab a book, take a seat, and get lost in one of the most famous literary spaces in America. 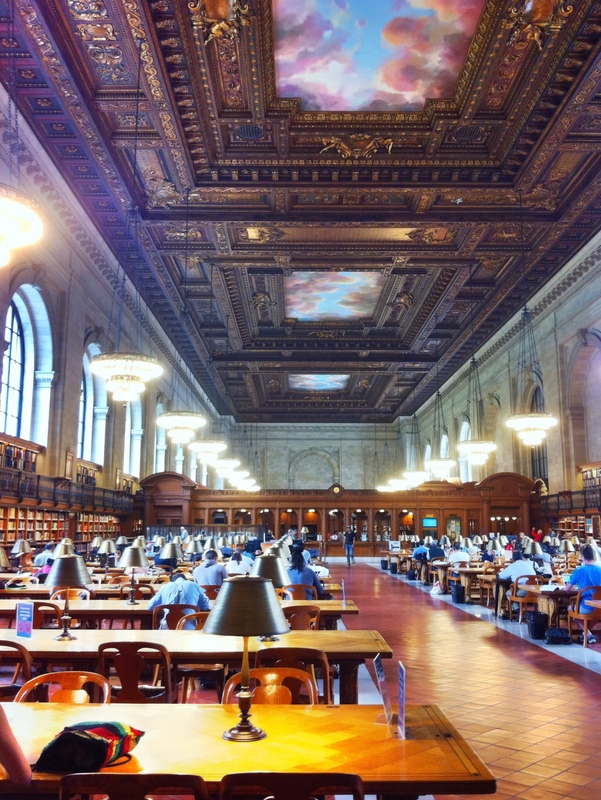 The library has been featured in numerous films, like Day After Tomorrow, The Wiz, and Ghostbusters. Don’t forget that if you have a question, there are friendly librarians and staff there to answer your questions. While wandering the Rose Main Reading Room, I happened to stumble across an open atlas. What are the chances? Just a few blocks from the New York Public Library is Grand Central Terminal, the largest commuter rail station in the world, by number of platforms. While American rail travel isn’t much to brag about in comparison to other countries throughout the world, Grand Central was built at the pinnacle of American rail travel. 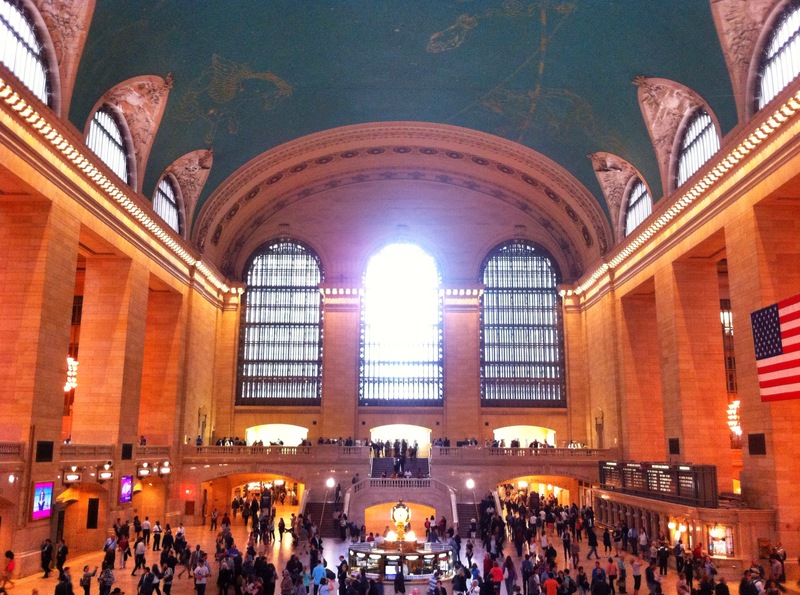 You may also hear it referred to as Grand Central Station, which is the name of the former station on that same site. The main sight within is the Main Concourse. It’s where passengers wait for their trains and buy their tickets. Well, at least before the introduction of ticket vending machines. In the center of the Main Concourse is the information booth, topped with a four-faced clock made from opalescent glass that is commonly called opal or milk glass. Supposedly, there is also a secret door that lies in the middle of the information center with a spiral staircase that leads to the lower-level information booth. If I haven’t convinced you to see this yet, Travel+Leisure magazine listed Grand Central Terminal as the world’s 6th most-visited tourist attraction in 2011. If you are anything like I am you can remember exactly where you were on September 11, 2001. Mrs. Munson’s 7th grade science classroom, 2nd row, furthest left table against the wall, sitting next to Ricky Willgrubs Jr. was where I was. Many lives changed forever that day and many changed more than mine did. 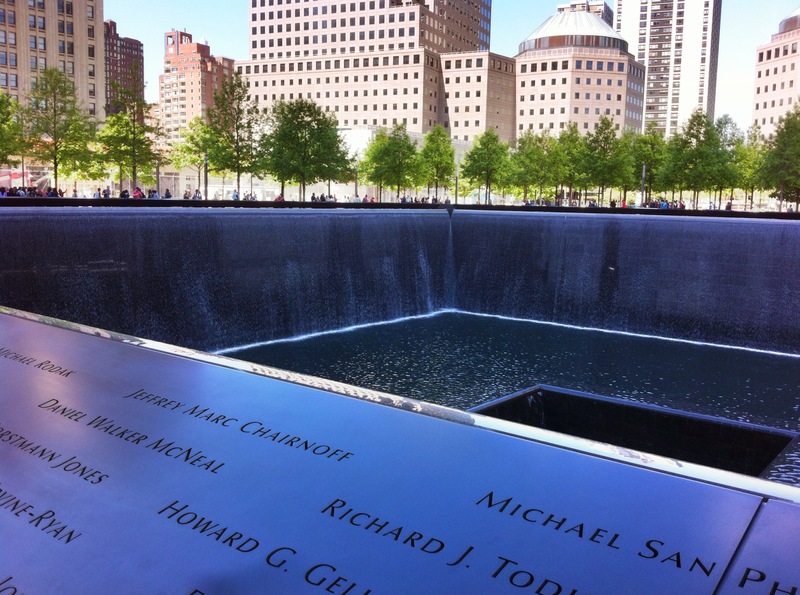 The 9/11 Memorial is located at the World Trade Center site with the two fountains sitting directly in the footprints of the two towers. The majestic fountains serve as a memory to those who lost their lives that day. As a tragic event that changed world history, it’s well worth a visit. Please remember to be respectful though; although, that should go without saying. If you’re in New York City on a day with nice weather, take a stroll, run, or bike across the Brooklyn Bridge. 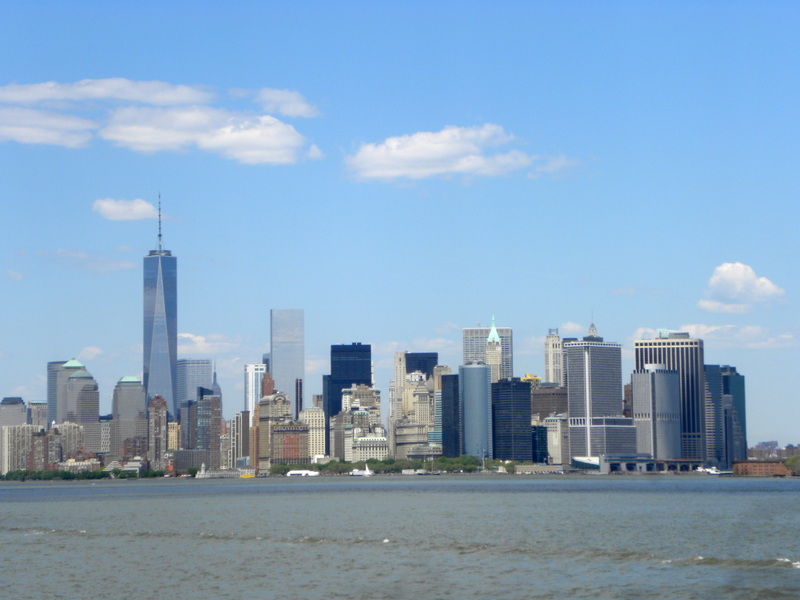 It connects Manhattan and Brooklyn and offers incredible views of both Brooklyn and Manhattan, especially the lower Manhattan Financial District. 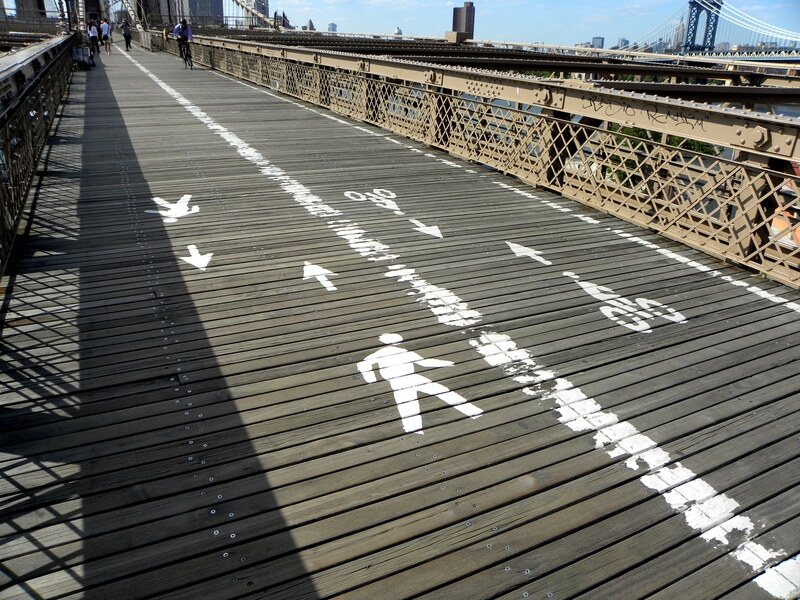 The Brooklyn Bridge is split down the middle with a walking side and a biking side. Please be mindful of where you are and who is around you. Neither a biker nor a walker wants a collision. I almost saw a few of them, mostly from people straying into the bike lane to get that “perfect” picture. If you are going to do this, please check to see if there are any bikers approaching from either side, snap your pic, and get back on your side. I’m not trying to be the annoyed biker here, but again, just be mindful of where you are and be respectful of others. Some are using the bridge as a route for daily transportation to and from work opposed to a scenic picture taking location. Back to the Bridge itself though. It’s one of the oldest suspension bridges in the United States and spans over 1,500 feet. Try to go on a clear day because the views all around are truly remarkable. 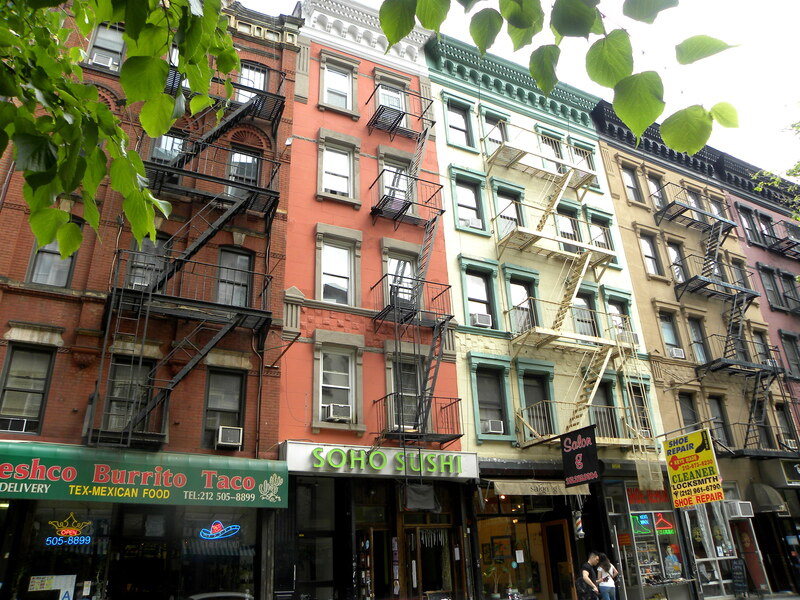 The closest subway stop is the A-C High St. stop on the Brooklyn side and the J-Z Chambers St. stop or 4-5-6 Brooklyn Bridge City Hall stop on the Manhattan side. Instead of paying absurd amounts to cruise by the Statue of Liberty on a private boat, you can take the Staten Island Ferry for FREE! It goes right in front of that Statue of Liberty and gives photographers and gawkers great views, again, fo’ free! The Staten Island Ferry departs about every 30 minutes and takes about 20-30 minutes to go one way. (Click here for the Staten Island Ferry schedule). One pro tip is to make sure you get on the west (right) side of the Ferry on the way to Staten Island and the west (left) side on the way back to Manhattan. 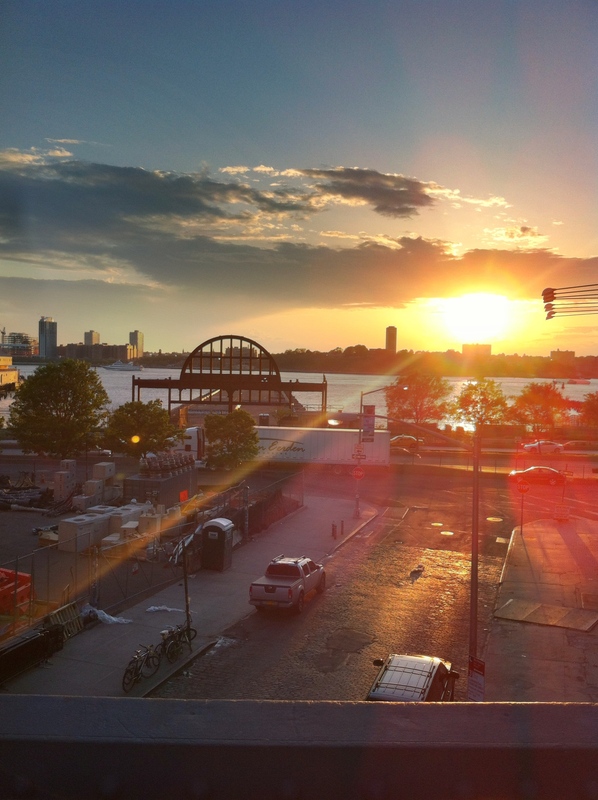 Although, the other side does offer excellent views of Brooklyn and Red Hook, but that’s not what most people want. On the return trip to Manhattan, make sure to head to the far front of the boat, down the ramp. You will get the full view of the Manhattan Financial District, highlighted by the newly finished Freedom Tower. 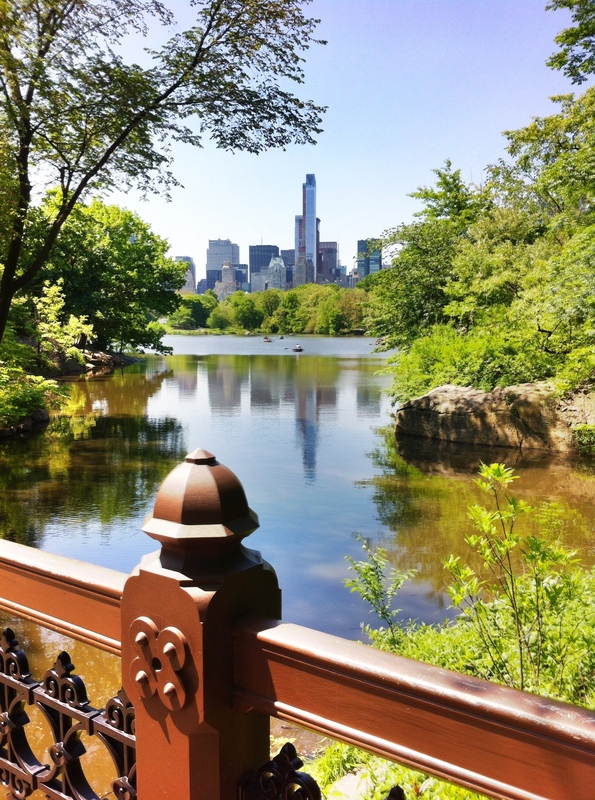 Assuming you’ve read this far, you can gather that I’m a fan of nature and green spaces within cities based on my rave review of Central Park. 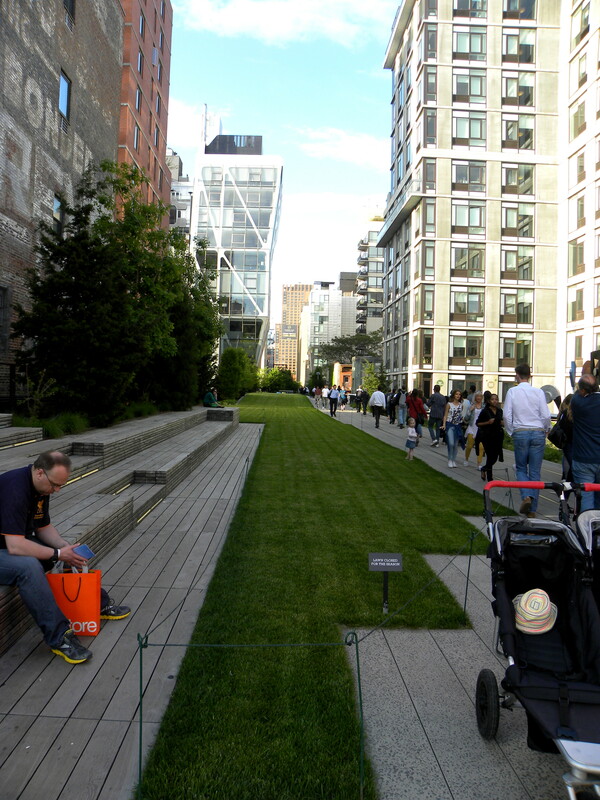 Well, the High Line was an equally, if not more, impressive green space within New York City to me. 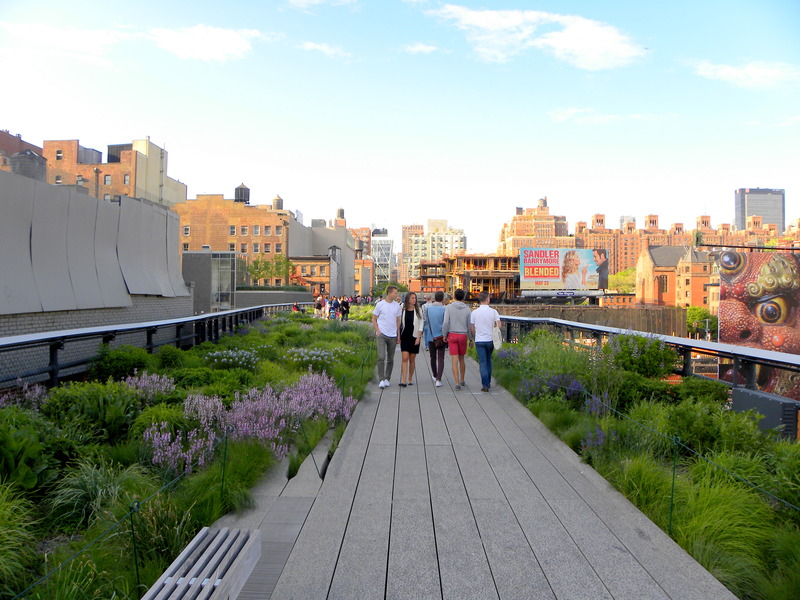 The High Line is a 1 mile section of the former elevated New York Railroad system that has been turned into a public park. It’s full of life, and while intertwined within the city, it feels like an escape from the hustle and bustle that lies below. 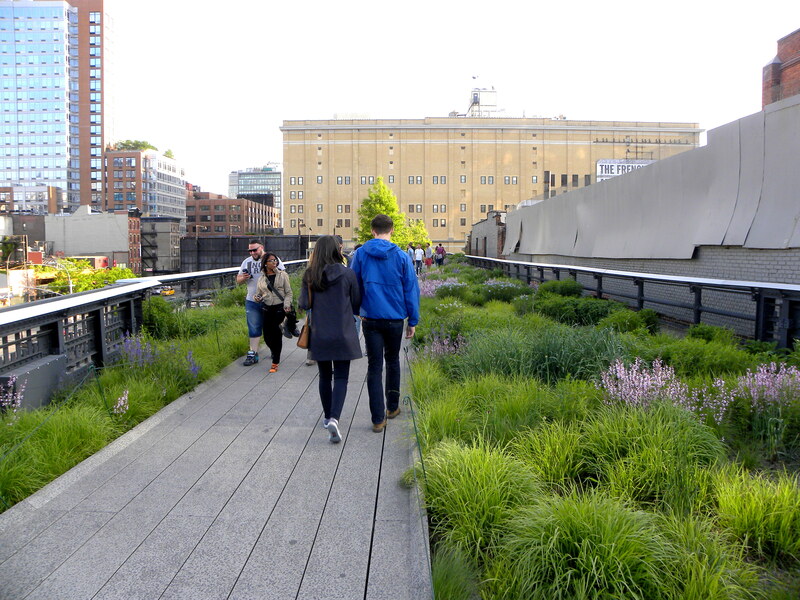 At each twist and turn, the High Line changes with new art, plants, and scenery. Although I’m not easily made bored, the ever-changing High Line kept my attention the entire time by keeping me guessing at what was coming up next. It’s my recommendation that you visit at sunset, even though I would imagine it’s just as impressive at any time throughout the day. The arch is of Pier 54, the location of where the Titanic was supposed to dock in New York City. Obviously, this is not a comprehensive list of free activities in New York City, but they were some of my favorites in a city known for being a more expensive travel destination. 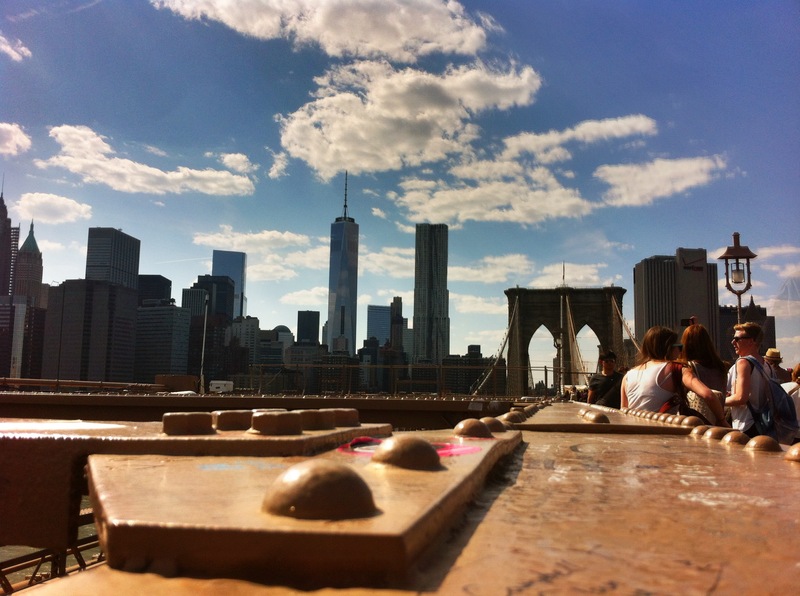 Do you have favorite free things to do in New York City? Great recommendation Christine! I really enjoyed my time out in Brooklyn near the Bushwick area, but unfortunately didn’t make it out to the other boroughs. Great travel blog by the way – I have one myself and would love if some people would like to check it out! Currently I’m posting a photo a day of my life as well as writing about my various world-wide adventures. Thanks! Thank you, Natasha! I’ll definitely check out your blog too! I saw someone doing a model photo shoot in NYC, but didn’t see anyone famous that I knew. That’s not saying much though as I’m not the most up-to-date on pop culture. Seeing a movie or TV show being filmed and possibly meeting the cast would be really neat! Thanks for the suggestion!